There has been much talk about the unwise nature of many reality programs involving competitive weight loss. That isn’t gainsaying the effectiveness of these programs in getting people interested, which is more than other media messages have done over the years. However, initial interest aside, those programs just aren’t realistic for most people. For one thing, they are extremely time-intensive. 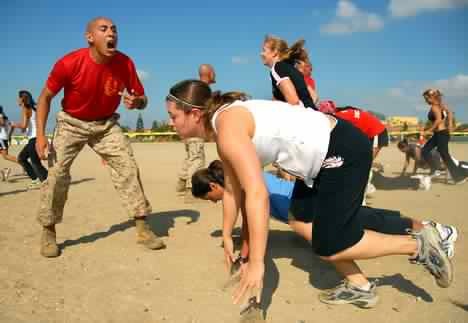 Exercising four hours a day or more isn’t something most people can do, nor would they want to even if they could. For another, they are physically intensive. Many people became overweight through years of no activity. Throwing someone into an intensive, bootcamp situation, doing stressful and unusual activity, makes for good TV, but is asking for injury or worse. Yet… they seem to work, don’t they? At least as shown by the weigh-ins each week? Ah, but do they also show competitors who were cut from the program due to overuse or traumatic injury? So… where does that leave normal people like us, working normal jobs, without master chefs and master trainers locking us into a boot camp like situation? As it turns out, the characteristics of successful weight loss and – by corollary – their programs have been known for quite some time. Yet, amidst the cries of bad genetics, limitations of work and life commitments, difficulty sticking to diets from Atkins to Munchikins, the factors that make up successful weight loss seem to elude many people. That’s where the National Weight Control Registry (NWCR) comes in. The NWCR was established in 1994 as an ongoing prospective investigation. It seeks to identify the characteristics of people who have succeeded at long-term weight loss. This is both interesting and important because it’s a well-known fact that weight loss per se isn’t difficult. It’s weight loss maintenance that is seldom successful. The NWCR tracks over 5000 people who have lost not just a significant amount of weight (at least 30lb, or 13.6kg), but maintained it for at least a year. Using detailed questionnaires and annual follow-up surveys, it examines both individual characteristics as well as strategies used. Below are just some of its more significant findings, along with my comments. Clearly, it’s never too late to start. At an average maintenance period of 5.5 years, these people must have started at an average age of 39. Even though some weight regain is deemed inevitable, the weight loss maintained was 32kg… respectable! The average current weight is 66kg. Yes, it is not what most ladies hope to be. Simply put, it is very hard to achieve an ideal weight and maintain it. You need to start moving away from false ideals. On the other hand, even though they didn’t get down to 45-55kg, they persisted, and so set themselves free of their average initial weights of 80-90+ kgs. Otherwise, they would have continued to balloon even beyond this. I’ll take a bet that their health definitely improved and their joints hurt less, size 6 or not. Finally for us Asians, bear in mind that since the NWCR is mainly Caucasian stats, and we do have lighter bones and frames, we may arrive at a lower average! So there’s hope yet. Contrary to popular opinion, reinforced by watching the multitude of trainers and dieticians on reality TV, personal one-one coaching and personal training isn’t a must. The above figures work out to almost half the successful losers doing it alone. That being said, it requires a special discipline to be able to do this. In my experience such people tend to have very strong motivating forces driving them. Something deep… like a personal stake in weight loss, or something which comes from within their souls. Not many people have this, so an initial break-in period with a fitness consultant is always useful. It helps to have someone you must keep an appointment with, be accountable to, and even makes you part money because people value what they have to pay for. And yes, maybe even shout at you when you need that extra bit to push you further. This is especially true if you’ve never exercised before. Remember, people tend to overestimate how much exercise they are doing, and a professional can help keep you honest, and on track. Even if you have the drive to go the solo route, you should get some one-on-one instruction to learn exercises the correct and safe way. This is even more so if you have a co-existing problem. You not only get started right, but have someone to fine-tune and check on you at regular intervals to ensure you’re still exercising correctly and effectively. Also, it’s very important to understand the special considerations involved if you have diabetes, an old bypass or PCI, where it might be important to be sure you’re not exercising TOO hard! You will need someone with clinical experience and qualifications (such as a clinical exercise physiologist) for this specialised training. I do give personal training for my own clients but make it a point to get them independent as quickly as possible. I don’t lock people into 20-session packages! Thereafter I will see them periodically for continued monitoring, motivation and mentoring, but on a less frequent basis. I think it’s really important to learn things right, empower people with knowledge and understanding, and then just come back for fine-tuning if need be. Walking is the most popular activity, followed by resistance training. Other popular activities include cycling, using cardio exercise machines, aerobics and running. There’s just no getting away from physical activity, and a lot of it. MUCH more than most people realize. Chances are, few people will be getting results at the lower end of the range (<1000kcal) so I usually recommend aiming for at least 2700kcal per week and adjusting as necessary. The other thing that strikes me is the simplicity of the most frequently chosen exercise: walking. Despite all the funny exercises, novel methods and fancy contraptions that are likely to hook (or hoodwink) would-be losers, when it comes down to it: simple is best. Honestly, which are you going to be able to sustain for longer: getting to the gym and working out on some fancy suspension belts that cost you money to use and learn to use, or just get down to your HDB void deck and simply start walking? Indeed, many of my clients are successfully using walking as their primary form of exercise. They enjoy the scenery and learning new routes. Or, they may simply be doing it with a friend or a loved one. An MP3 player loaded with favourite tracks also makes the experience enjoyable. I personally like listening to an audiobook as I walk. You can clearly read this on the NWCR success story page. It agrees truly with my own experience. The people who work with me, succeed the most, and achieve the holy grail of adopting a lifestyle rather than a temporary fix… these people have something internally driving them to succeed. They have real reasons why they MUST DO THIS RIGHT NOW, and CONTINUE. A new project could come up, it could rain, or their shoes could get stolen. None of these would make a difference. They would find their own way. I could give them ONE personal consultation and a plan, and ask them to come back six weeks later so we can progress. And when they show up, they would have done all they were supposed to, and we don’t have to waste time and money going over old stuff again. We would move to the next stage… then the next… then the next. Is it any surprise these people succeed, and succeed in spades? All goal-driven people monitor their own progress, and make changes accordingly! They set goals and see if they are getting nearer, or further away. They constantly make changes to put them on track. How often do I hear someone tell me, they went for a party on the weekend? Or, they ate some cheesecake “here and there”. And then they later wonder why they don’t lose weight! You have to be accountable to yourself. And one sure way to keep honest is to keep measuring your progress, or lack thereof, analyse why, then DO SOMETHING DIFFERENT! Simply put: The more activity you do and the less time spent on your rear end, the more successful your weight loss and your ability to MAINTAIN it. Who’d have thunk it! Despite high levels of exercise, they also watch what they eat. What a shock. This lends weight to the fact that successful weight loss is best achieved by a combination of both. Indeed, I emphasize to clients that diet could be as high as 60-70% of their success, especially if they have time or physical limitations to exercising according to ideal parateters. Furthermore, they are not on any extremist diets. No-fat? 24% is a healthy percentage, provided of course they have a mix of good fats. Low carbs? We already know these don’t work long term for health because carbs are so important. For preserving muscle mass, for preventing ketone bodies, and a slew of other things. Ultimately, it would seem that the biggest losers are, method-wise, also the most boring people. They rely on tried and tested methods based in science. Nothing fancy, nothing preposterous, nothing earth-shaking. The NWCR is really a most useful resource, not just because of the size of its database, but also because we’re talking about real people who have not just accomplished something difficult, but have done so within the context of jobs and real life responsibilities that you and I have. Do visit their website from time to time to check on their articles and read their inspirational success stories.